The plate girders are used to carry the loads beyond the capacity of universal beams. They consist of plates and angles riveted together. Plates and angles form an I-section. They are used in building construction and also in bridges. Plate girders are economically used for spans upto 30m. In common, section used for plate girders are shown in figure. It shows the simplest form of plate girder. In case, the simple section cannot take the load. 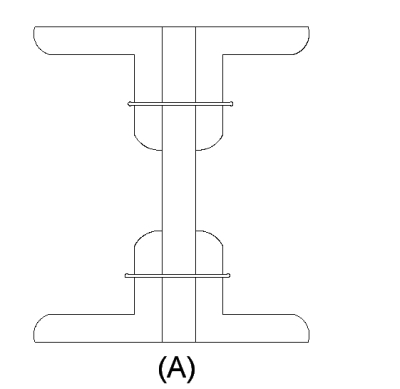 Sufficient flange material, additional plates are riveted to outstanding legs of angles as shown in (B) & (C). When number of cover plates become excess then the section of plate girder is modified. Sometimes in building construction, the depth of the girder is limited to provide necessary head room. Limitations of the headroom require the depth of girder much less than the economical depth. It becomes necessary to provide large web areas to resist shear forces. In such cases, sections shown in figure E & F are used in which two or more webs are provided. These are called “Box Girders”. A vertical plate of the plate girder is termed as web plate. The angles connected at the top and bottom of web plate are known as flange angles. The horizontal plates connected with the flange angles are known as flange plates or cover plates. 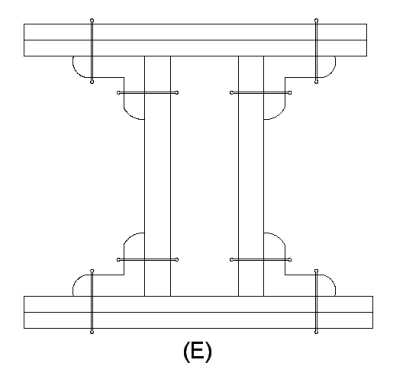 The depth between the outer surfaces of the flanges is termed as overall depth(do) or depth of the plate girder. In general, depth of the plate girder is kept 1/10th to 1/12th of the span. 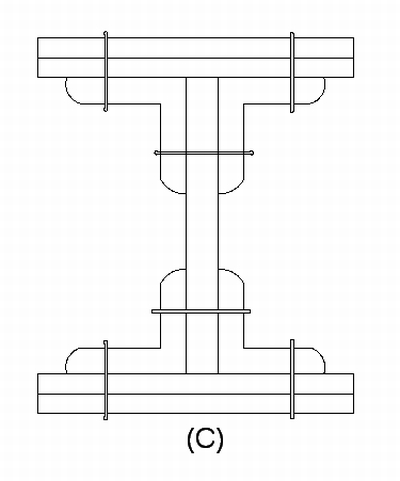 The distance between C.G of compression flange or C.G. 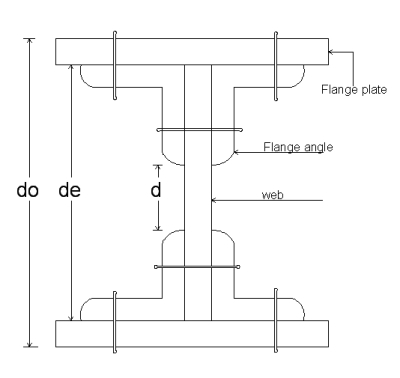 of tension flange is known as effective depth of plate girder (de). 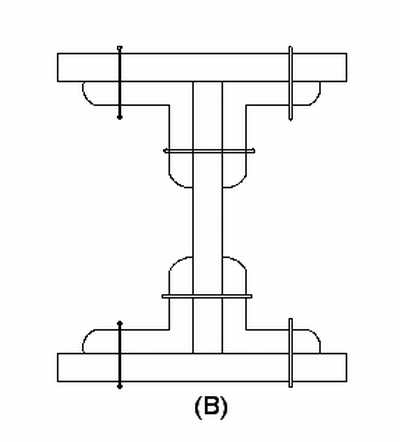 The distance between vertical legs of flange angles at the top and at the bottom is known as clear depth of plate girder (d). When the depth of plate girder is less than 750mm, then such girders are known as ‘Shallow Plate Girders’. When the depth of plate girder is more than 750mm, then such girders are known as ‘Deep Plate Girders’.